General Motors Company, commonly known as GM, is an American company based in Detroit. It produces vehicles in 37 countries under thirteen brands: Alpheon, Chevrolet, Buick, GMC, Cadillac, Holden, HSV, Opel, Vauxhall, Wuling, Baojun, Jie Fang, UzDaewoo. It also holds a 20% stake in IMM, and a 96% stake in GM Korea and has a number of joint-ventures, including Shanghai GM, SAIC-GM-Wuling and FAW-GM in China, GM-AvtoVAZ in Russia, Ghandhara Industries in Pakistan, GM Uzbekistan, General Motors India, General Motors Egypt, and Isuzu Truck South Africa. 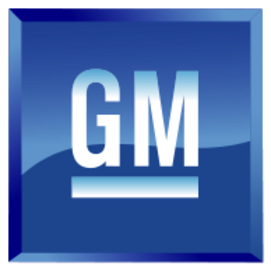 General Motors is divided into five business segments: GM North America (GMNA), Opel Group, GM International Operations (GMIO), GM South America (GMSA), and GM Financial.